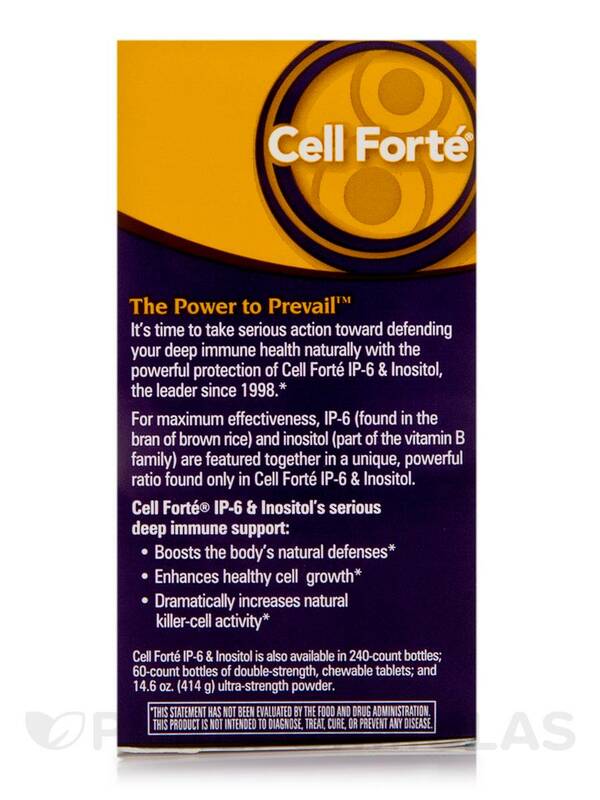 Started taking Cell Forte IP 6 & Inositol by Enzymatic Therapy after a surgery and a year of illnesses about 28 years ago and haven't been without. Such a great product! 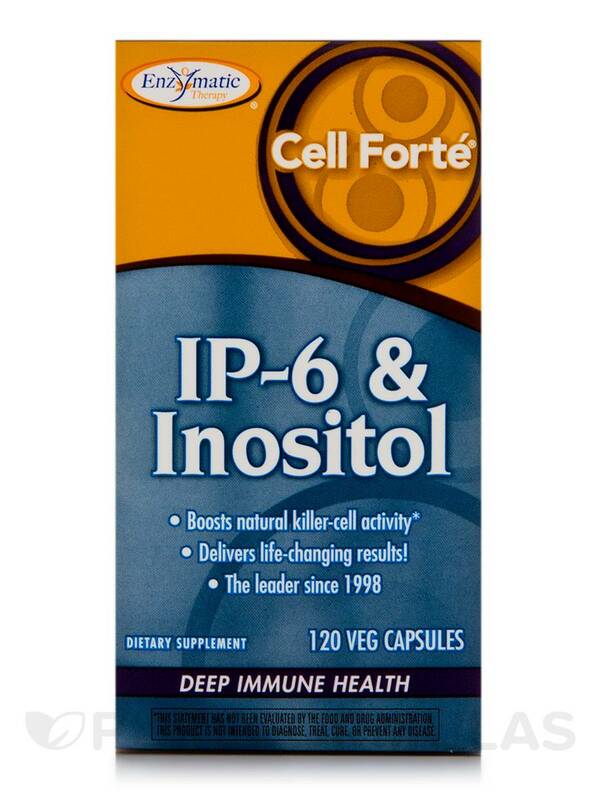 Cell Forte IP-6 & Inositol by Enzymatic Therapy best product ever for overall healthy cells. Have been using this as well as my family going on for six years !! I would highly recommend this product. Cell Forte IP-6 & Inositol by Enzymatic Therapy is a dietary supplement that may possibly help enhance and strengthen the immune system. It might also be able to build up healthy cell growth. Calcium (from Calcium Magnesium Phytate): Is believed to help support healthy brain cells. Phosphorus (from Calcium Magnesium Phytate): Might be able to aid in energy cell production. It might also help incorporate proteins such as lecithin‚ which cells utilize to make membranes. 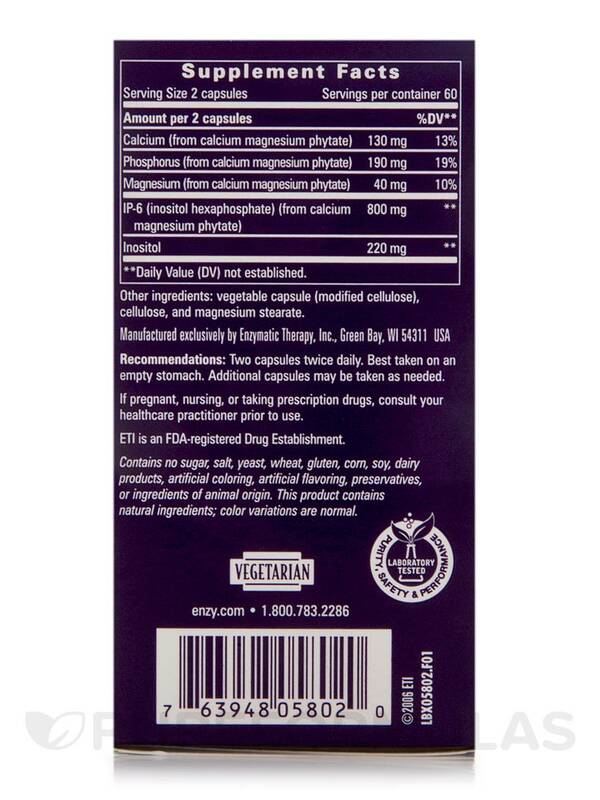 Magnesium (from Calcium Magnesium Phytate): May possibly help stimulates muscles and nerves. It’s also believed to serve as a building block for synthesizing RNA and DNA. IP-6 (Inositol Hexaphosphate) (from Calcium Magnesium Phytate): Acts as an antioxidant and it might be able to combat free radicals that damage the cells. Inositol: May possibly help create the myelin sheath around the nerves and metabolize fat for the protection of the heart and kidneys. Other Ingredients: vegetable capsule (modified cellulose)‚ cellulose‚ and magnesium stearate. 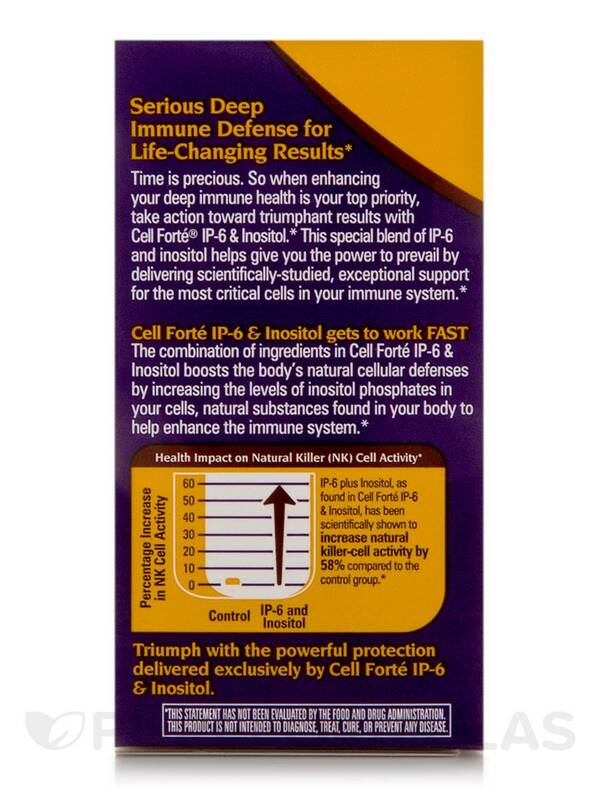 I've been taking Cell Forte IP-6 & Inositol by Enzymatic Therapy for about 5 years now. I feel it's a great product. I am taking for immune system. I haven't taken Cell Forte IP-6 & Inositol by Enzymatic Therapy long so am waiting to see results but I have no side effects and am glad it's in a capsule. I did notice though only taking one at a time on an empty stomach, it can cause some discomfort. So now I eat thirty minutes after I take it. Capsules. Dr. said it helps turn on natural killer cells. A must for any recovery. Vegetarian capsules. Has come down in price through the years and probably even helps me sleep as well as my immune system. If you are already taking calcium supplement, would the IP-6 & Inositol be too much calcium?